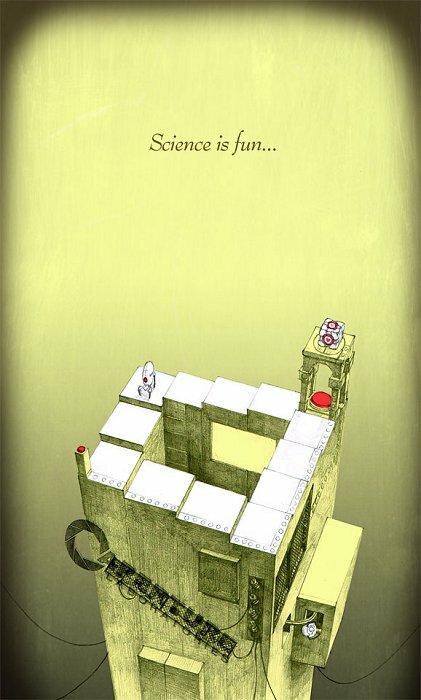 This artwork is fan art of the game Portal 2. You can see going down the endless staircase Sentry Turret, Companion Cube at the top of the shed and Personality core in the hole under the staircase. The image was found at http://who93.deviantart.com/art/Science-is-fun-211354992.